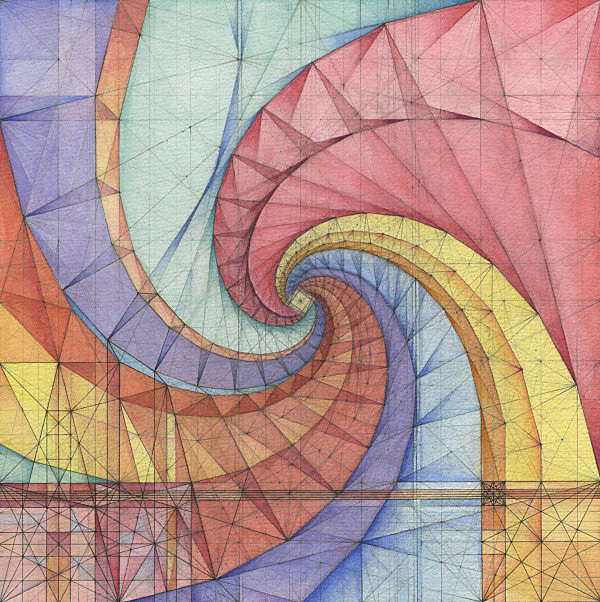 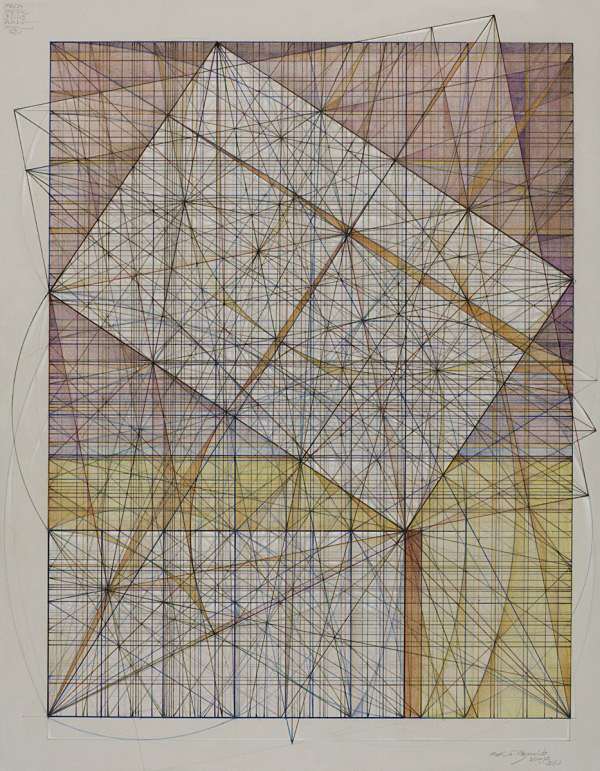 Drawings based on geometric systems found in nature, mathematics, and art history, as well as Mark's own discoveries and inventions. 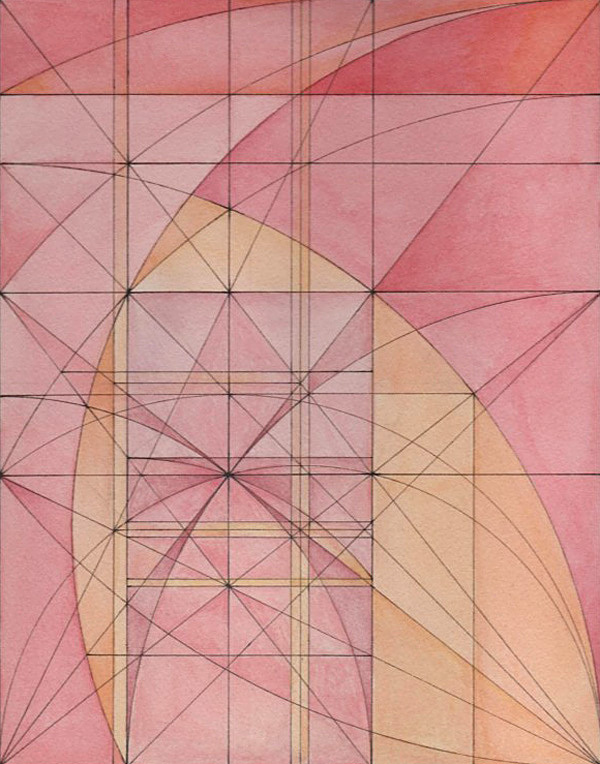 Some of the artwork is based on discoveries and inventions that I have made through the daily practice of drawing and experimentation. 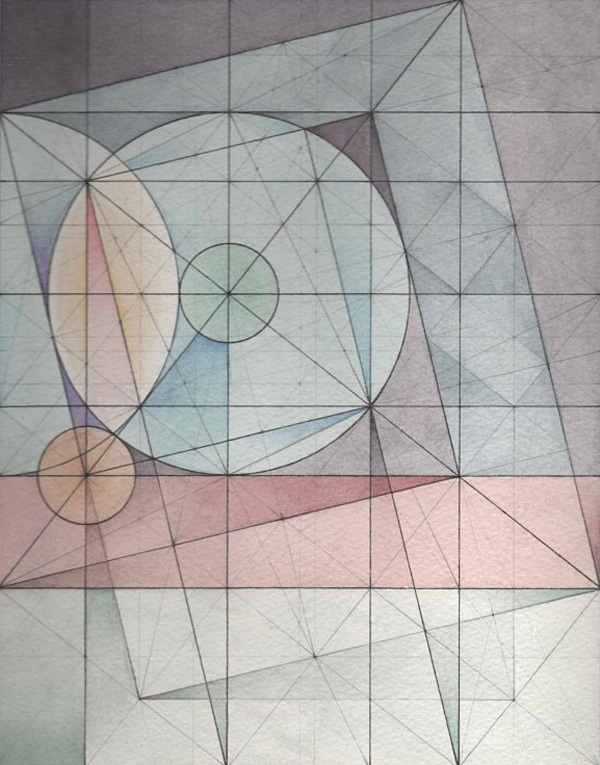 The work develops as much from an artistic and creative process as from any preplanned calculations, although the perimeter ratio is always predetermined in order to define the specific geometric system I will be working with. 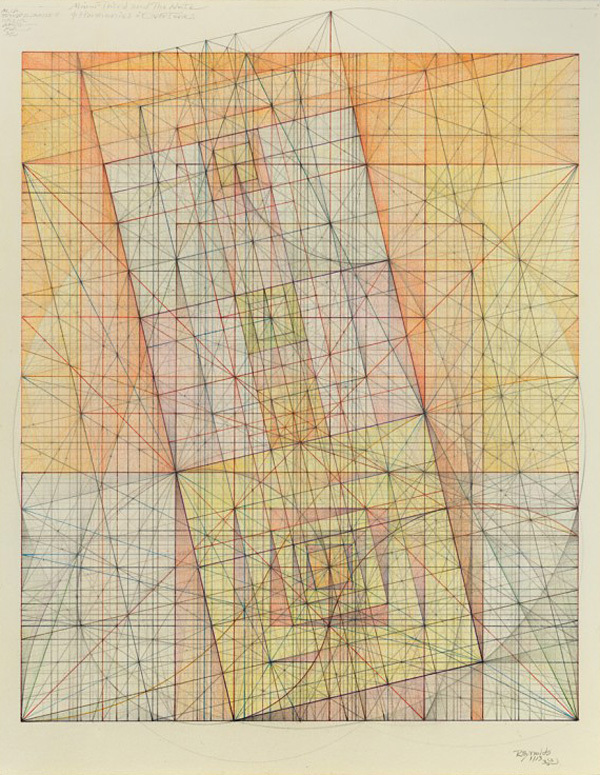 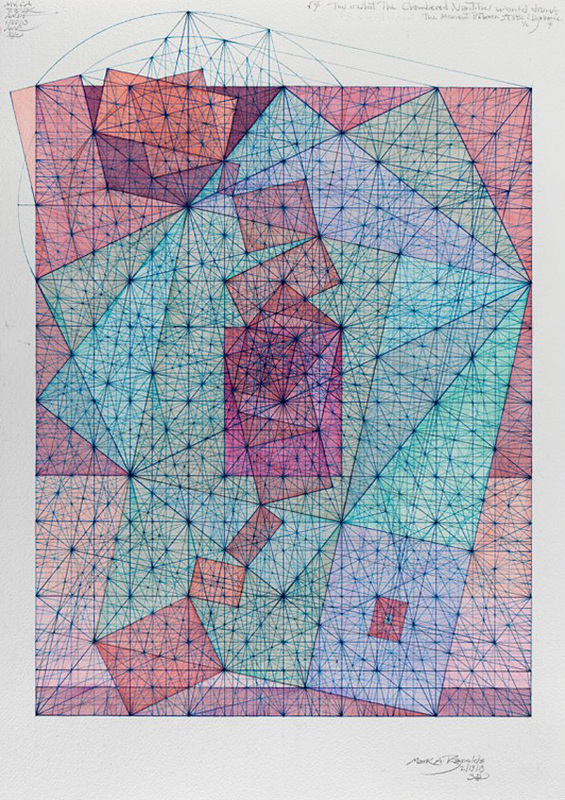 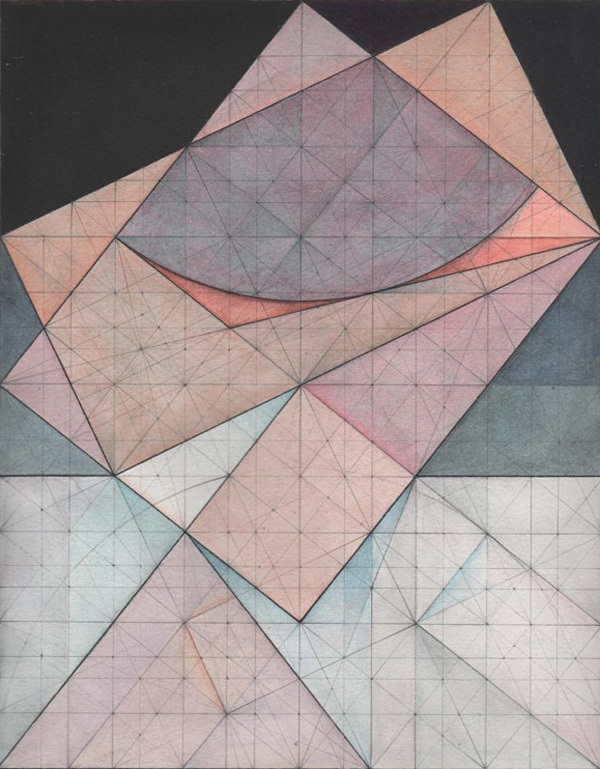 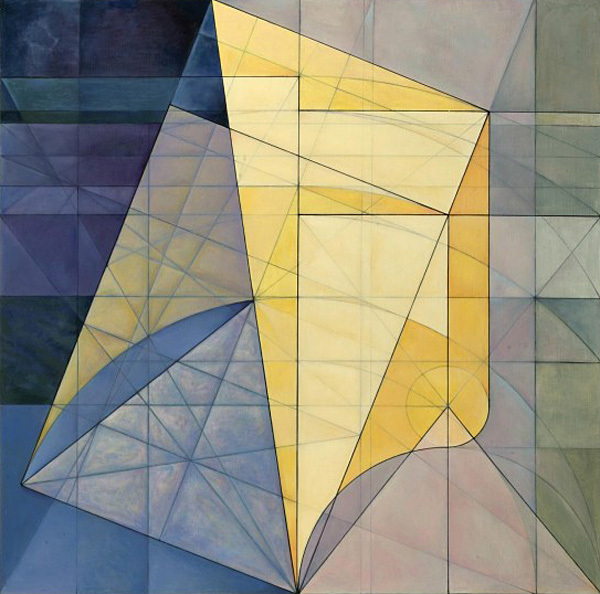 It is through an organic process of overlays, tracings, revisions, exploration, and experimentation with geometric systems – specifically, certain ratios and proportioning systems found in rectangles, squares, and triangles – that I have been able to produce the drawings and paintings presented here.